First of all we’d like to thank you for your incredible support during 2018! It has been a year of hard work for us, but hopefully we were able to meet your expectations in terms of quality metal releases and service. Our office will be closed from tomorrow 19th of December until January the 7th . All orders received by tonight will be shipped tomorrow. On our webstore besides our latest releases at regular price, several products are available for a reduced price until Jan 11th. We’re ready to start 2019 with the same enthusiasm as always, and would like to give you a short preview of our first releases for 2019. Hope you enjoy it! PRE-ORDERS will start on Jan 07. WISH YOU ALL A HAPPY NEW METAL YEAR! On March 22, Cruz Del Sur Music will pair Finland’s CARDINALS FOLLY and Australia’s LUCIFER’S FALL together for a split of monolithic proportions. Formed in 2007 in Helsinki, CARDINALS FOLLY has four full-lengths to its credit, including their most recent effort, 2017’s “Deranged Pagan Sons”. Releasing the split on vinyl was their primary reason for signing with Cruz Del Sur, not to mention their affinity for the label’s previous output. CARDINALS FOLLY’s three-song contribution features songs that expand upon the undeniably heavy and dark feel found on “Deranged Pagan Sons”. 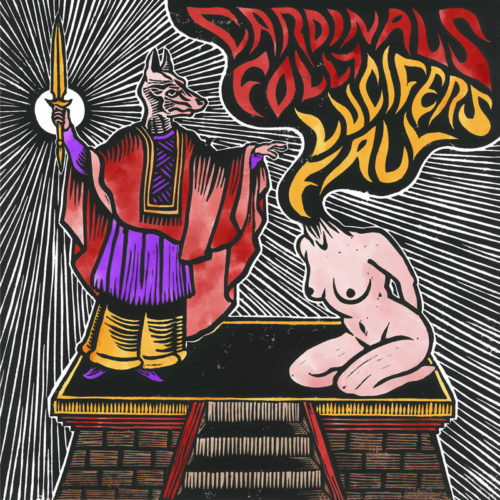 One of the secrets to CARDINALS FOLLY’s sound is their ability to avoid the traditional trappings of doom metal. The Finns, who played major festivals like Doom Over Vienna and Doom & Bloom in addition to trekking over to America for an appearance at the Doomed And Stoned festival, aren’t interested in long, laborious songs, nor are they afraid to incorporate influences from other forms of metal, in particular black metal, which Count Karnstein cites as a spiritual influence. Hailing from Adelaide, LUCIFER’s FALL was formed in 2013 and have been prolific ever since. 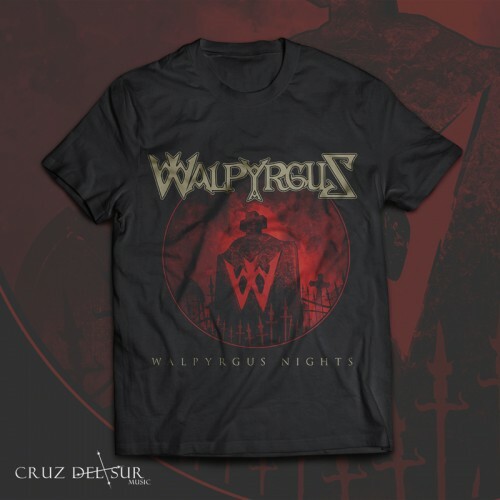 The band has released two full-lengths in addition to numerous demos, singles and splits, and were brought to the attention of Cruz Del Sur by CARDINALS FOLLY’s Count Karnstein. The band’s most recent album is 2016’s “II: “Cursed & Damned”. According to vocalist Deceiver, the three songs LUCIFER’s FALL provided for the split were born out of simple band rehearsals, reflecting the lively and dynamic sound. “Heavy metal is just as important to us as doom,” he says. “This release leans more to the metal than the doom. There’s nothing really that slow this time around. We didn’t think too much. We just wanted to write some simple aggressive, catchy headbanging tunes. The band’s split with CARDINALS FOLLY will be preceded by demo compilation that includes rehearsals and live recordings that is due this December. They have also started writing for their third full-length album, “III: From The Deep”.